Mexico: A Growing Global Crisis Of Confidence – OpEd - Integration Through Media ....! According to the World Travel & Tourism Council’s report on Mexico for 2018, travel and tourism made direct contributions to Mexico’s GDP of US$82.2 billion or 7.1 percent in 2017. However, the total contribution to Mexico’s GDP by the T&T industry was US$185.4 billion or 16.0 percent of GDP in 2017. In comparison, revenue from Mexican petroleum products provides less than a 4 percent contribution to national GDP. For Mexico, T&T provides 16+ percent of total employment in Mexico. International trade (exports plus imports) comprise 77 percent of Mexico’s GDP. It is also interesting to note that the influx of foreign-born residents inhabiting Mexico doubled from 2000 to 2010. Those foreign-born residents are now estimated at one million. 750,000 of these are said to be Americans. Translation: More Americans have immigrated to Mexico over the past half-decade than Mexican citizens migrating to the U.S. Tourists, travel and their direct and indirect economic contributions to Mexico remain strategically important factors for Mexico’s overall economic stability and sustainability. Recently, Mexico President López Obrador said tourism provided 41.4 visitors to Mexico who contributed US$22 billion to the economy in 2018, making tourism Mexico’s third largest source of foreign exchange behind the automotive industry and remittances sent by Mexicans working outside the country. Enter Lake Chapala: Characterized as an expat retiree paradise, the Lakeside communities of Chapala and Ajijic have been a traditional preference for retirees from Canada and the U.S. Depending upon what source you consider, there are an estimated 10-30,000 retirees from primarily the U.S. and Canada who reside (full and part-time) in the Lake Chapala area. Their numbers swell seasonally from November through April. As I have chronicled elsewhere, the growth in both the pace and number of U.S. Baby Boomer retirees seriously exploring retirement and relocation in Mexico is on the rise. I refer to this social phenomenon as the MEXODUS. I have provided the basis for this cohort’s motivation in this and other articles. In my new book (January 2019), Lake Chapala Beneath The Surface – Considerations for Retiring in Mexico I recount the results of my/our 30 month investigation exploring the possibility of retiring in the Lake Chapala area. (The Book is available on Amazon, Barnes & Noble, Apple and at your local independent bookstore as both a paperback and e-book). Since the publication of the book, the book content has been supplemented with additional Lake Chapala related articles. Located in the State of Jalisco, Chapala and Ajijic are struggling to survive a wave of unimaginable violence. The current reality in the Lake Chapala region is a reflection of the strategic struggles Mexico is currently burdened with. Tourists are fickle folks. So are prospective retirees. It’s important to keep in mind that tourists travel, and retirees relocate to experience pleasure. Their unequivocal preference is to avoid risk, inconvenience, and potential threats to personal safety – and those factors that may diminish the enjoyment of their overall experience. In this sense, prospective tourists have a built-in risk avoidance mechanism. Countries and regions therein are acutely vulnerable to tourist perceptions of risk. Nothing reduces the desire of tourists to visit an area like occurrences of violent crime, corruption, and hazards to health. Over the past 7 months, the Chapala/Ajijic area has experienced over 8 murders, along with numerous burglaries, car-jackings, and robberies. According to the World Justice Project, their Rule of Law Index places Mexico ranks 99th out of 126 countries. The Lake Chapala Reporter indicates that only 161 convictions were obtained in 2018 out of 2,413 homicides recorded in the State of Jalisco for the same year. Homicides in 2018 increased 57 percent in Jalisco over 2017. 2018 was the most violent in the history in Jalisco. If you’re counting, the figures for Jalisco translate to an impunity rate of well over 90 percent. (Impunity refers to committing a crime and the associated probability of suffering the legally proscribed consequences). Thus, according to WJP “Mexico continues to rank among the worst countries in the world on an index that measures the rule of law based on the experiences and perceptions of the general public.” The State of Jalisco ranks last when compared to all the other states in Mexico when it comes to obtaining a conviction for a reported crime (0.67 percent or 6 convictions out of 70,000 crimes investigated in 2017). Like Lake Chapala, Reuters reports that homicides in Mexico increased 33 percent in 2018, breaking the national record for the second consecutive year (33,341 in 2018 vs. 25,036 in 2017). A few residents in the Lake Chapala area have attempted to “nuance the narrative” of this reality by suggesting “this happens every six years when Mexico has a national election.” (This is the “This is normal – don’t worry – be happy – come on down” narrative. Imagine how that goes over with the families and friends of victims). Sure, the Chief of Police in Lake Chapala stepped down (only to receive a comparable position with the inept State Police of Jalisco). 7 amphibious police officers in Chapala were arrested for selling dope and possession of illegal weapons. The Army, Navy and State and federal police have been requested to be deployed to the area – and another woman was shot to death in Chapala on March 5, 2019. AMLO has attempted to nuance the narrative as well, stating that “the war against the cartels is over.” Really? How do you think this plays in the nostrils of prospective tourists and/or retirees? In February 2019, the ongoing occurrence of violent crime in the Lake Chapala area is described in my piece entitled: Warning; Lake Chapala Remains Deadly. I have also chronicled the corruption related to the massive developments planned for the greater Chapala area. 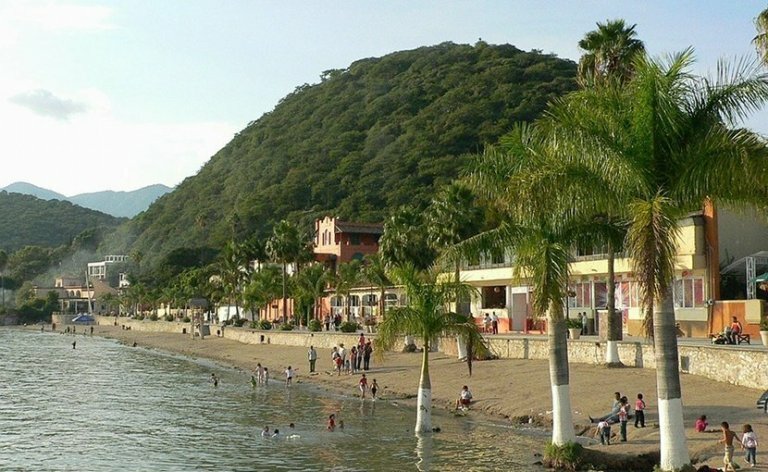 I have addressed the 2019 landslide of negative publicity cascading upon the Chapala area causing onlookers to ask: With so much negative publicity, is Lake Chapala paradise or a pair o’ dice? The point is perception is everything and reality is a _ _ _ _ _. Alejandro Zozaya, CEO of Apple Leisure Group, has declared that Mexico’s high-end tourism market has declined 20 percent in 2019, and will continue to decline throughout the year. The National Chamber of Commerce and Tourism Services reported that in February 2019 Puerto Vallarta received between 10-13,000 reservation cancellations due to the ongoing lawlessness in Mexico; an economic loss of some 400 million pesos for the Puerto Vallarta area. Cancun has also suffered a decline in tourist visits in 2018. In 2018, Forbes declared: “More Americans were reported killed by homicide in Mexico than the combined total of Americans killed by homicide in every other country abroad.” That’s not a narrative to be nuanced. It is the reality that continues to disrupt the effective functioning of a cylinder in Mexico’s economic engine. The gas shortages in Mexico, theft via pipeline tapping, corruption, and the horrific tragedy where more than 120+ people were burned to death in a gas line explosion in the state of Hidalgo prompted me to explore PEMEX – the state run oil company in Mexico. PEMEX is basically bankrupt, according to analysts who cover the company. PEMEX reported a loss of $7.6 billion in 2018, down from a loss of $14.3 billion in 2017. The company incurred a $6.4 billion loss in the fourth quarter of 2018 alone. PEMEX is under the microscope from investors after its credit rating was reduced by Fitch Ratings in late January to one notch above junk status. It is the most debt-laden state run oil company in Latin and South America. PEMEX’s oil exports provide almost 4 percent of Mexico’s GDP. President AMLO’s plans to assist PEMEX in 2019 and beyond have not been well received by the investors, financiers and credit rating agencies. Mexico’s economic growth forecast has been cut from 2.1 percent to 1.6 percent for 2019. The outlook on the long-term ratings for Mexico were downgraded to negative from stable by Standard & Poors on March 4, 2019. The tax burden for PEMEX is also distinctly higher than other state run oil companies; even higher than that at Venezuela’s Petróleos de Venezuela SA (PDVSA) whose solvency is at risk. Why is this important? Almost all (95 percent) of Pemex pre-tax earnings over the past twenty years flow directly to the Mexican government. If the tax burden on PEMEX is reduced (to produce more cash flow for Pemex for production capacity improvements and exploration), Mexico’s cash flow suffers, further impairing the nation’s liquidity and credit standing. Mexico is the sole country in the world that acquires over 50 percent of its natural gas supply from a single country; The United States. Over 60 percent of all power in Mexico is produced with gas. Slowdowns in economic growth, any further reductions in the credit risk ratings of Pemex or Mexico may cause tangible problems for the ability to cash flow and/or finance the requirements of the country. An estimated one-third of the Mexican government’s income depends upon oil. The global financial concerns regarding Mexico as a nation and Pemex as a strategic component of Mexico’s economic stability infected the rating firm’s action this week when it downgraded the outlook for 77 Mexican financial institutions. This reflects the concern for the “potential deterioration of the Mexico’s national credit quality and the possible contagion to the local banking industry,” the agency said in a statement. The gas for the economic engine in the Lake Chapala area (and others in Mexico) is tourism. The nation of Mexico requires routine replenishment from the same source. However, the current realities of crime, corruption and inaction now flood the minds of prospective tourists who make the final choices regarding their international travel and retirement plans. The uninterrupted flow of tourists and prospective residents to Mexico is in jeopardy. Similar perceptions of risk and socio-economic instability are negatively impacting PEMEX. If these realities continue to remain unaddressed by tangible strategic plans to deliver the essential solutions, one would expect the performance of Mexico’s economic engine to continue to decline. What Mexico cannot do with either tourism or Pemex is to fall prey to the shallow utterances that come from some expats in Lake Chapala area who choose to nuance the narrative: (“This is normal – don’t worry – be happy – come on down”). Nuance is spin. People can smell that crap. It’s time to deliver verifiable practical results. That’s not perception. That’s reality. You don’t ignore the smell of fumes. You don’t fool with fuel. Confidence is earned through delivering tangible positive results. It is degraded through nuanced narratives that serve only to erode the disintegrating confidence of global onlookers as obvious expressions of half-baked lip-service. The resolution of the current, fundamental challenges of Mexico require vastly more than that. On March 13, AMLO over-ruled the comments from Deputy Finance Minister Arturo Herrera who stated the construction of the proposed new Dos Bocas refinery in Tabasco will be postponed – and the $2.5 billion designated for the new refinery will be used to boost exploration and production at PEMEX. AMLO says bids for the Tabasco project will be opened up on March 18, 2019. The six existing PEMEX refineries currently operate at less than a third of their capacity – as maintenance and essential upgrades have not been made due to a lack of money. Currently, PEMEX operations lose money as they attempt to increase production. Pressuring PEMEX to increase production of unprofitable operations seems to be a curious strategy. What nobody seems to be addressing is the reality that the United States-Mexico-Canada Agreement, or USMCA has yet to be approved by the governments of the U.S., Mexico and Canada (Yes, the three leaders had their ceremony to laud their approval in November 2018 – but – the three governments have yet to approve it). The Trump administration is currently examining using section 232 of this agreement to potentially impose tariffs on autos and auto parts to reduce the U.S. trade deficit in this sector. AMLO’s popularity in Mexico after his first 100 days in office is lofty – purportedly above 80 percent. That represents the hopes of the Mexican people – a nation with a 45 percent poverty rate typically craves just that. Hope floats for a while. Then, reality deflates the bubble. AMLO’s popularity is not shared by the global community where organizations that matter, inhabit the landscape. The cancellation of the Mexico City airport project will cost Mexico some USD $5 billion. The real crime here is if AMLO continues to nuance a disingenuous narrative versus attending to the smoldering fires that are threatening the Mexican economy. Left unattended, smoldering fires can morph rapidly into blazes that spread and are vastly more difficult to extinguish – and destroy adjacent segments of an integrated economy. That’s not perception or a nuanced narrative; that’s reality. I was recently advised by a reader in Mexico that I should watch AMLO’s press conference each morning. I replied that the tangible progress Mexico must make are not the one’s President AMLO speaks toward at a morning press conference. They are the one’s his administration legitimately resolves by the end of each day. Perhaps AMLO should change the time of that daily morning press conference to the end of each work day?